A contract for Mi-17V-5 helicopters, which was supposed to be signed last year, is now expected to be finalised soon, a top Russian official has said. “Negotiations with the Indian side on the delivery of 48 Mi-17V-5 helicopters have been completed; we expect to sign the corresponding contract in the first quarter of 2018,” CEO of Russia’s Rostec State Corporation, Sergey Chemezov, told IANS in an interview. He also said that there is “serious modernisation potential” in the Mi-17 and Mi-8 choppers which was proven by the development of the Mi-171A2 helicopter. The Mi-171A2 is an advanced medium multirole helicopter, based on the Mi-8/17 series with more powerful propulsion systems, upgraded main rotor, gear systems and fuselage and advanced avionics. Chemezov said the chopper has seen more than 80 new improvements in the platform. India at present has around 151 Mi-17V-5 helicopters, the last of which were delivered in January 2016. The Mi-17V-5 is based on the Mi 8 helicopter airframe and is one of the most advanced aircraft of the Mi-8/17 helicopter family. The sturdy choppers have been the Indian Air Force’s mainstay in a number of humanitarian assistance and disaster relief operations. The chopper was also used during the Mumbai terror attack of November 2008, where it aided in the commando assault to take back Chabad House. 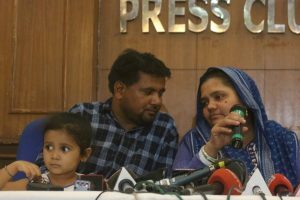 It is also said to have been used in the surgical strike carried out on Pakistani terror launch pads across the Line of Control in September 2016. It has TV3-117BM turboshaft engines, rated at 1900 hp each, giving the chopper greater service and hovering ceiling, and have proved efficient in the tough mountain terrain of the Himalayas. Asked about a recent tender for 111 Naval Utility Helicopters that India came out with, Chemezov said Russia will be participating in the tender with its Kamov Ka-226T helicopter. Chemezov said Ka-226T met all specifications of the tender, and a solution for Naval use of the helicopter had also been found. “Our helicopter meets all the requirements presented in the tender documentation, and its technical characteristics exceed our competitors. We already have a solution for the naval version of this helicopter with folding blades,” he said. “If the Ministry of Defence of India selects the Ka-226T, India can save money significantly. Thanks to the project for joint production of helicopters, there are opportunities for joint maintenance, training of pilots and mechanics and other related costs,” he said. He added that there will also be a scope to export the helicopters once India’s requirements are met. In anticipation of the contract, the two countries have formed a joint venture for 200 Ka-226T helicopters, 40-60 of which are likely to be imported off-the-shelf from Russia, with the rest being assembled in India. At the Russian-Indian summit in Moscow in December 2015, an intergovernmental agreement was signed for implementation of the project for production of Ka-226T helicopters in India. In October 2016, at the Russian-Indian summit in Goa, the parties signed a Partner Agreement and ratified the Memorandum and Articles of Association of the new Joint Venture, which was announced at the BRICS summit. 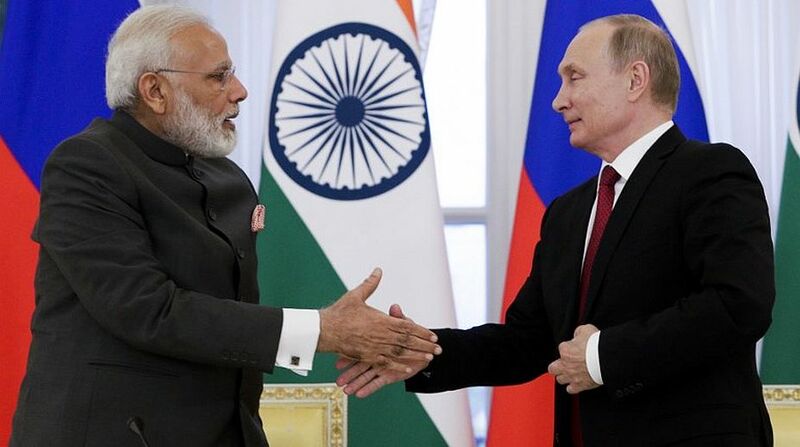 The Russian side has 49.5 per cent share, while India has 50.5 per cent stake in the Joint Venture which got Russian President Vladimir Putin’s nod in April and was registered in India in May this year.